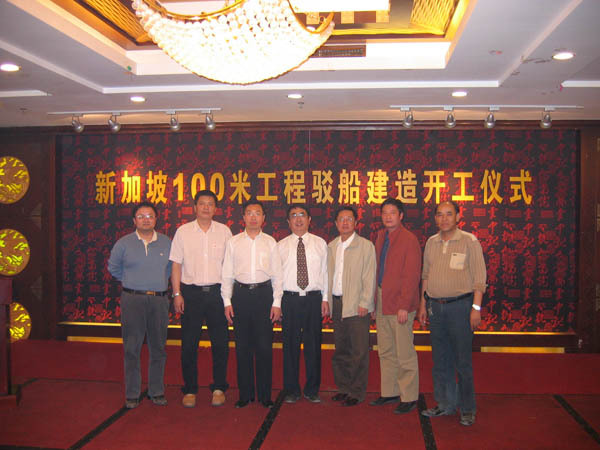 On Oct. 28, 2006, President Liu Jingzhen and Zhang Zhen, Manager of the Trade and Investment Department, attended a barge building commencement ceremony held at Nantong Dongjiang Shipyard with the local leaders of CPC committee and representatives from the CCS Expert in Safety and Quality. 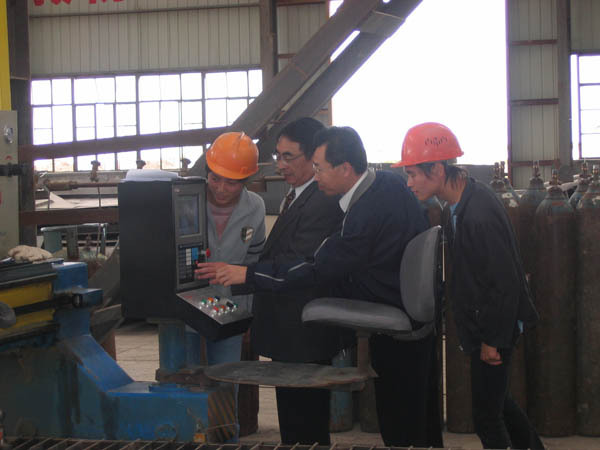 President Liu pressed the start button of the NC machine tool and the building work of a 100-m engineering barge, which will be exported by CNAICO upon completion was thus officially initiated as per contract singed with client. President Liu, local leaders of the CPC committee and representatives from the CCS Expert in Safety and Quality present at the commencement ceremony. 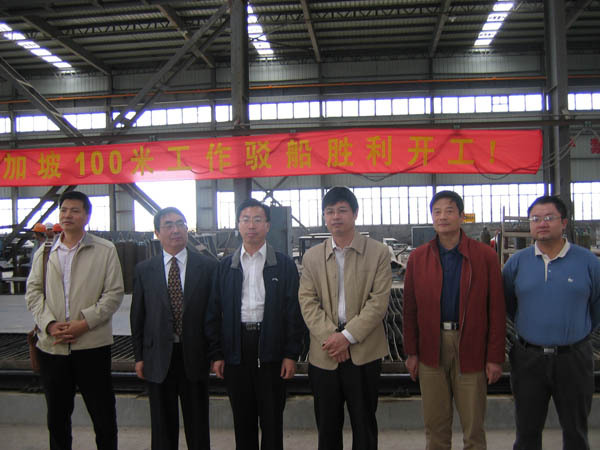 President Liu Jingzhen starts the NC cutting machine. President Liu, General Manager Zhang and the local leaders of CPC committee are present at the construction site.